One of my favorite places in the neighborhood is Rose & Joe’s bakery. 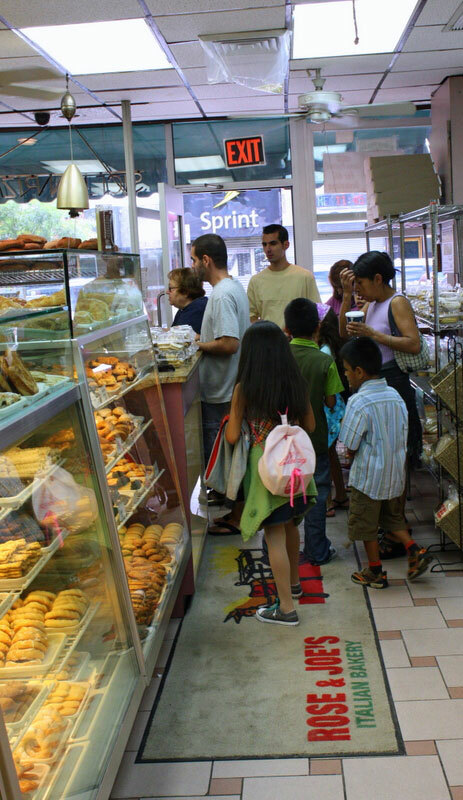 They are a traditional NYC Italian bakery, selling Italian cookies, breads, little panini, pound cakes, muffins, croissants, and black & white cookies. 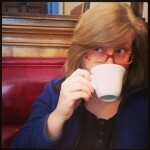 They also serve NY deli-style coffee – I like it iced in the summer. All those things are great, but I think their most spectacular item is their pizza. 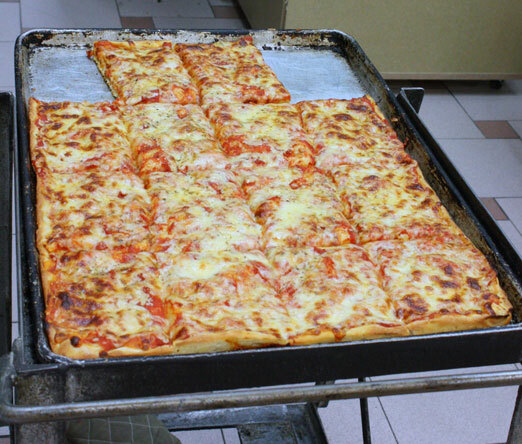 Found in the back of the store, it’s what is considered a “bakery-style” slice, essentially a Sicilian pizza baked in a big pan ($2.50/slice). 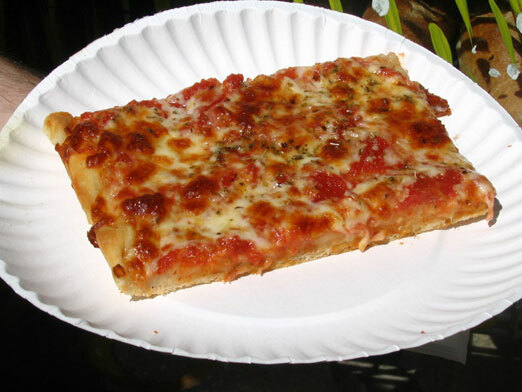 The most popular seems to be the plain slice (my fave), but you can get it with toppings. They also make a round pie, which I hear is good, too. I’ve been known to eat multiple slices throughout the week, it’s that good. The sauce is tangy and savory, the crust is not too thick and has a nice crispness to it when you bite into it, and the cheese matches perfectly with its surroundings. It’s an easy thing to pick up and eat on my way home from the train (the bakery is just a few steps away from the Ditmars stop), too. Believe me, it goes down quickly. Please note: you pay separately for the pizza apart from your other potential purchases at the bakery. 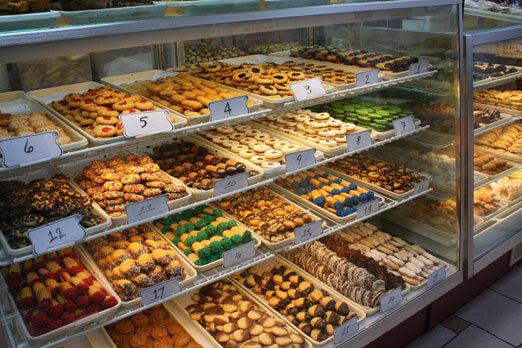 Apart from the pizza, Rose & Joes have an extensive selection of Italian cookies, too. I like the pignoli cookies (when they have them), and the lemon drops, which is a barely sweet lump of cookie shrouded in a white lemony icing. Their melomakaronas are my favorite in the neighborhood, too. I mentioned above, “little panini”. Adam Kuban wrote them up on Serious Eats. I’m also a fan of the tomato and mozzarella panini. They are very tasty. Kids and adults, both, love this place. If you haven’t already, definitely check this place out. Have a slice of pizza, take home a few cookies, and a loaf of cibatta, and you’re set. 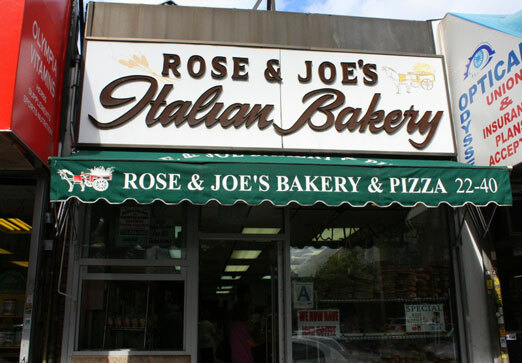 If you have been there, tell us what you like best about Rose & Joe’s, in the comments. They are one of the best bakeries in the city best pastries and bread all delicious. I read all the reviews on Yelp on Rose and Joe’s Italian Bakery and I was struck that the average ratings range from 4 to 5 stars. Today, April 15, 2014 at around 2:45 before 3PM I had the worst experience at this bakery. I agree the cookies are excellent and the managers are very nice. But, one of the workers was extremely rude and verbally attacking and fighting with me (a customer). I enjoyed always going to this bakery many times because of the warm and enjoyable cookies. I asked the lady worker for the bottoms row third to last on left display for the crunchy delicious chocolate and white cookies. I asked for an assortment. I had a feeling she did not listen so I went to the counter at the cashier area and asked her if she place the assorted chocolate and white. She replied “no”. And, she told me that I did not ask for an assorted of the 2 types on one tray for a 1/2 a pound order. She was accusing me of lying and repeated herself again that I did not ask for the assortment. I spoke to the manager at that shift and the manager apologize for her worker poor attitude. And, I told the manager that no need to apologized for the lady worker because the manager was not t fault. My family was with me never placed her order because my she was shocked and surprised at what goes on the bakery. When I was about to leave the bakery the same lady worker laughed at me and we exchanged words. I tried calling the owner and spoke with a different manager today but was told the owner is always in and out so there is not specific time when owner will be in. This leaves me to but write this review. I was very disappointed at the customer service provided today and I hope the unhappy worker does not mistreat or talk back to her customers. I am a very nice person and was sadden by the workers treatment of me. If the owners read this. Please retrain your workers to always provide excellent service. And, that the workers should not talk back to its customers, be rude and verbally fight back and laugh at customers. I am very disappointed. Thank you. 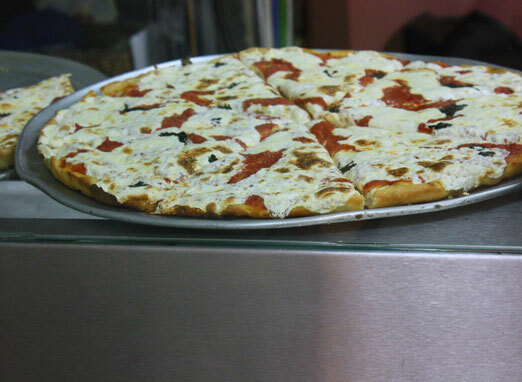 I like to get a slice from R&J, walk across the street to get a slice from Rosario’s and smirk with the satisfaction of knowing I’m having some of the best pizza in NYC and it’s my little secret. Rose & Joe’s also has delicious olive bread and ham bread (aka lard bread”. Good stuff at this place. I am going to check them out while I am in Queens! Rose & Joe’s is great! I always go there for nice bread or dinner rolls. Totally affordable too, I got 20 dinner rolls for a party once, I think it was $3.00 total. Can’t beat it.